Elephant Ghost is a relatively new band from Luxembourg, although the four members have been active in other bands before. Most notably, vocalist Simone and guitarist Pol used to be in the now defunct Jay’s Pub. Elephant Ghost doesn’t sound that different from their earlier band, except that they have let go of the folk components. The best way to describe Elephant Ghost would be as a timeless band that has found a healthy balance between pop and rock music. The self-titled EP starts with Are You Game?, a catchy song with definite hit potential and the undisputed highlight on the record. 255 also has a nice brit rock touch, but unfortunately the following tracks slow down which doesn’t work so well. Apollo 8 doesn’t really ignite, and Chanson du Midi with French lyrics could also have done with more punch. The concluding Kurt, It’s OK allows the band to summarise their ingredients one more time. This debut EP certainly has its strong moments, but not every track can live up to its expectations. The band still has to work on their songwriting skills, add more variety. They also have certainly found a gifted singer in Simone, but at times her voice sounds overly strained and could do with some reserve. I feel like comparing her to Peacock Palace’s Petra Jansen who had with Like A Snake a minor hit in the early Nineties. 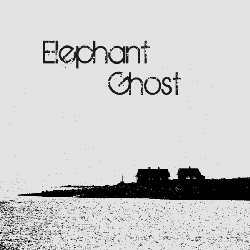 Elephant Ghost decided to release their first EP soon after their inception. This is a wise choice considering that a band has better chances to be noticed with a visiting card. They have therefore a lot of time now to work hard on eradicating their weak points for a possible future release.